All of us are joint owners of a trove of hidden assets. These assets — natural gifts like air and water, and social creations like science and the Internet — constitute our shared inheritance — the Commons. They’re vital to our lives and are at the heart of all economic activity. Since its founding the Schumacher Center for a New Economics has been committed to developing a new tenure system for the Natural Commons – Earth, Air, Fire (the minerals), and Water. Our premise is that these Nature-given assets are our Common Wealth, needed by all. To keep them in private ownership gives an unfair advantage to the titleholder who can charge “rent” for their use – an “unearned increment,” to use the phrase of Henry George. This economic advantage is one of the key reasons for inordinate disparities in wealth accumulation. At the same time a regulation of use is necessary and a means for collecting income from that use is key to ensuring common benefit. Our approach has been to develop non-profit community land trusts to hold and manage the Natural Commons on behalf of the inhabitants of a particular place. The Earth is in crisis due to an economic system that treats our Natural Commons as commodities to exploit rather than as “a community to which we belong,” (Leopold 1949). The reform of our property-tenure system is urgent – at stake are the future health of our ecosystem and a fair economy for all. 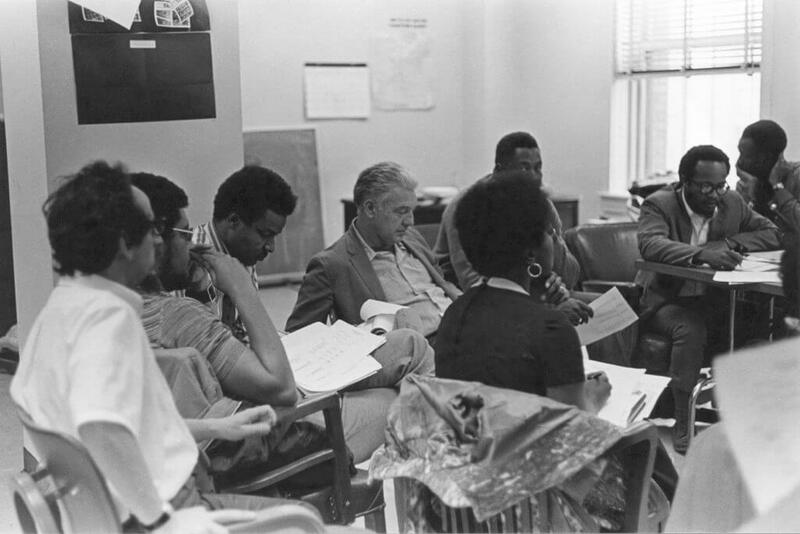 Robert Swann and Charles Sherrod with members of New Communities, Inc. at planning meeting circa 1970. A community land trust is a democratically governed, regionally based, open membership organization. Through an inheritable and renewable long-term lease, the trust removes land from the speculative market and facilitates multiple uses such as workforce housing, village improvement, sustainable agriculture, and recreation. Individual leaseholders own the buildings and other improvements on the land created by their labor and investment, but do not own the land itself. Resale agreements on the buildings ensure that the land value of a site is not included in future sales, but rather held in perpetuity on behalf of the regional community. In 1967, Schumacher Center’s founding president Robert Swann joined with lawyer Slater King, president of the Albany Movement in Georgia, out of a common concern to secure access to land for African-American farmers in the rural South. They traveled to Israel to study the legal documents of the Jewish National Fund that separate ownership of land from the ownership of buildings on the land. On returning they contracted to purchase a large farm and began a planning process with local residents to structure ownership and build a settlement of homes and farm buildings. Charles Sherrod, an organizer for the Student Nonviolent Coordinating Committee, and his wife Shirley Sherrod were part of that group. New Communities, Inc., the first community land trust, was formed out of those planning meetings. The story of its creation is detailed in the 1972 publication,The Community Land Trust: A Guide to a New Model of Land Tenure in America available in pdf form here. 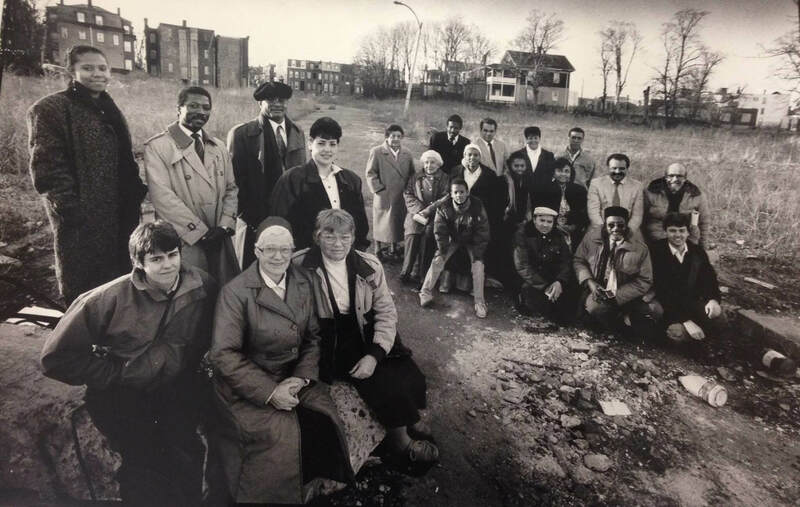 Dudley Street Neighborhood Initiative Staff and Board, 1990. The Schumacher Center for a New Economics has provided research and administrative support to the Community Land Trust in the Southern Berkshires (CLTSB), founded in 1980, and its sister organization, Berkshire Community Land Trust, founded in 2015. CLTSB owns three tracts of land, including the site of the Schumacher Center’s Library. CLTSB also holds Forest Row, a residential neighborhood of permanently affordable home ownership, and Indian Line Farm, the first Community Supported Agriculture farm in North America, where the lease recognizes the famers’ equity investments in their home, farm buildings, and other site improvements including soil improvements. 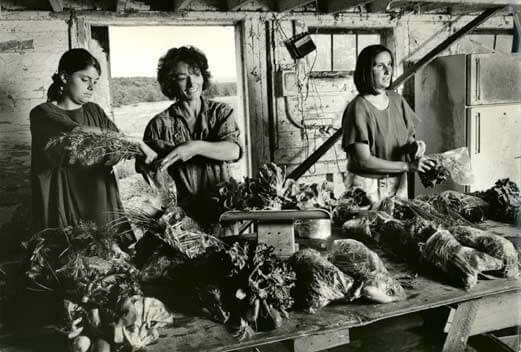 Robyn Van En (center) and farm crew at Indian Line Farm in South Egremont, Massachusetts, the first Community Supported Agriculture farm in the United States. Still in their initial stage of collaboration, the strategic goal of these volunteer-led sister organizations is to demonstrate how community ownership and control of land can be leveraged to foster economic resilience. Working together they can achieve goals like preserving Main Street for locally owned businesses, ensuring that local farms produce food for local people using good farming practices, establishing sites for community supported industry, and developing strong neighborhoods for full-time residents with local jobs. 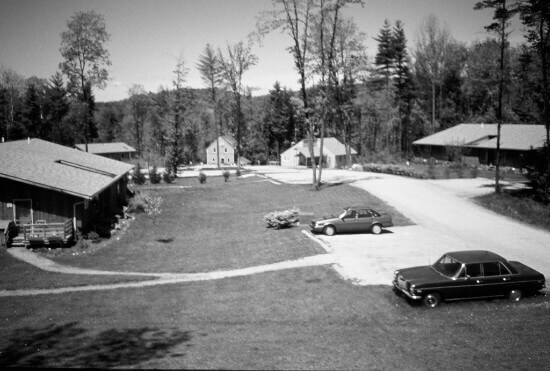 Forest Row, an 18-unit residential neighborhood in Great Barrington, Massachusetts. It takes time to envision, apply, and then evaluate new social and economic forms. Membership contributions over the past thirty-seven years have funded the Schumacher Center’s work with the Community Land Trust in the Southern Berkshires and the Berkshire Community Land Trust to experiment with program adaptations in various settings in Berkshire County. Detailed legal templates ready these models for replication in other regions. With your renewed contribution, we will continue to assist in this decades-long innovation.